We have just returned from a circle of the state of Texas meeting people and explaining the vision of Campus Ministry United. We were able to see family and friends, meet new friends and visit with many old friends of many years ago. It never ceases to amaze us how big the circle of God’s people can be. In Dallas we were blessed to meet and visit with Jim Barnett, president of National Campus Ministers Association. We were blessed to hear his story and passion for ministry and the young people he serves. I also had the opportunity to meet Dustin Bartee, young adult minister from Westover Hills church in Austin. We discussed the future of campus ministry and how young peoples’ hearts are seeking purpose and mission. We wound up our circle in Corpus Christi where we got to hug our BFF’s and reenergize with CIA Corpus. We worshipped with Grace Fellowship and reconnected with old friends we had not seen in over 15 years. One person in particular was a young woman Carol and I knew 20 years ago. This young girl struggled through all the hardships of growing up in difficult circumstances. She experienced many obstacles that most of us never think about. We knew her parents who endured the devastating results of her mother’s brain tumor and paralysis for many years. Our young friend is now married raising three energetic children while her husband serves our country in the National Guard. We praise God as we were able to see her again and meet her sweet family. Her story reminds us again of what a blessing it is to work in young peoples’ lives. May our service in the Kingdom always be fruitful in serving others and pointing them to life in Jesus Christ. 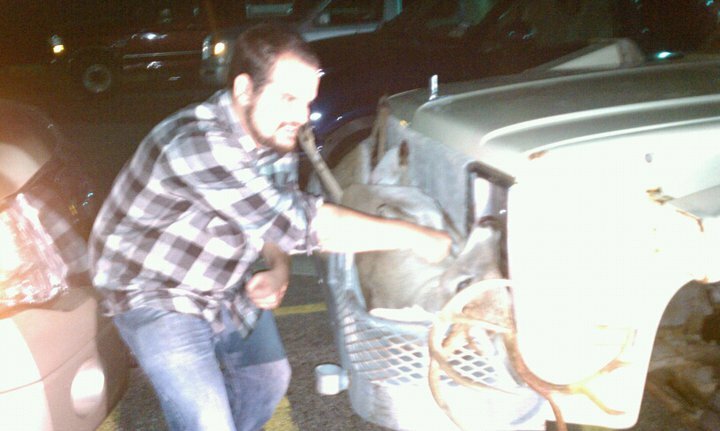 Kyle with a deer in headlights! We met new young people in the Texas CIA who have been embraced by this ministry since we were there in July. We introduced them to our friend, Kyle, who desires to commit his life to ministry and is entering the training program that Campus Ministry United initiated. We enjoyed fellowship with a group of 20 feasting on fine Texas coastal cuisine. We relaxed and visited with our dear friends, formerly known as the Group, embellishing old stories and swapping ‘shop talk’ about the ministries and new ventures. We talked of the future and praised God for past victories. The ‘piece de résistance’ was riding the golf cart at night around the woodsy neighborhood of our dear friends and gracious hosts, Mark and Ana, searching for wild animals. This tradition has become like a bedtime story before sweet slumber—hunting deer, skunks, and even yes, armadillos with flashlights! Did you know if you place a flashlight next to your eyes you will see all the spider’s eyes hiding in the grass? This is the place where the day’s stresses go away and laughter/adventure take over. God’s plans continue. His Glory will not be shared with any other. We rest in that plan and continue to journey and discover with ‘faith eyes’ all that He will provide and all that He is blessing us with today!